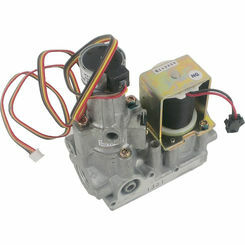 Save on gas valves online at PlumbersStock. 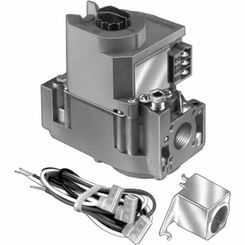 HVAC controls come in all different shapes and sizes to serve a variety of functions. 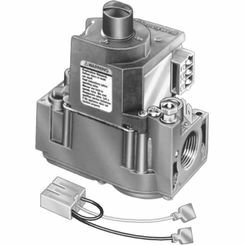 Gas control valves are designed to manage the flow of gas to a furnace, water heater, and other appliances. Shop and save with PlumbersStock on the best parts for your HVAC or water heater system. If you have any trouble finding the right part for your home improvement project, just contact a friendly member of our staff. We offer wholesale pricing on Shoemaker, Woodford, Honeywell, and more. 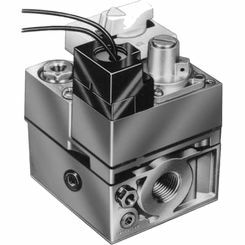 What Is a Gas Control Valve? 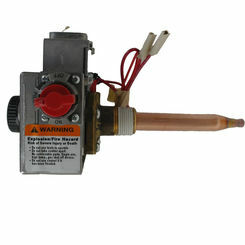 If your water heater and furnace appliances run on natural gas, you have a gas control valve somewhere in your assembly. Gas valves, also called control valves, are important to ensure the correct operation and safety of your gas appliance. 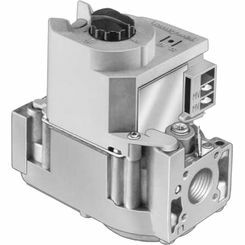 A gas valve works by controlling the pressure and amount of gas flowing into the appliance, creating a steady flow without room for leaks. Although you won’t think it, the pressure the gas flows at is important. Too much pressure could cause a fire or even an explosion. Too little pressure will not allow the pilot to ignite. 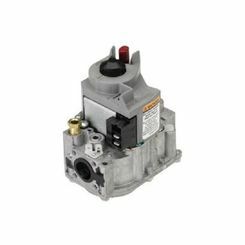 In addition to controlling the flow of gas, the gas valve also controls the pilot light and water temperature within the appliance. On your furnace, the process goes a little something like this: when your pilot needs to be lit, a button on the valve is pressed and a very small amount of gas is sent to the pilot head. If all goes well, the pilot will light and heat the thermocouple. The thermocouple will then send a small electric current to the gas valve, which will trigger an electromagnet to open the safety valve and allow more gas to flow out towards the pilot. The pilot will then continue to burn as long as gas is supplied. Construction wise, your gas valve has two probes coming out of its back. The short probe is known as the safety device or high limit probe. If the thermostat malfunctions somehow, this probe will interrupt the gas flow. The long probe is known as the temperature probe. 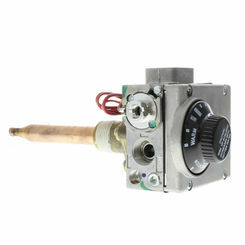 As water heats and cools, a rod inside the probe pushes a lever in the gas valve and turns the gas on and off based on the desired temperature. 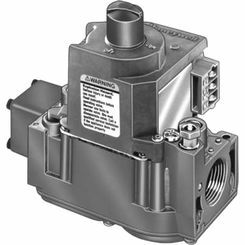 While all gas valves serve the same function, some are designed a little differently. 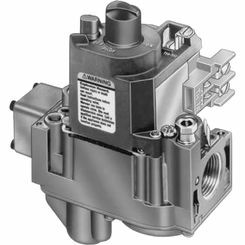 Below is a brief description of the various types of gas valves to help you recognize which kind you have if you ever need to replace it. 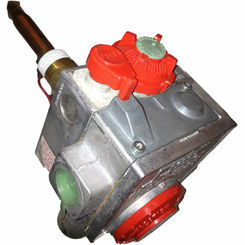 Type 1 – This kind of gas valve has the pilot button integrated into the control knob. 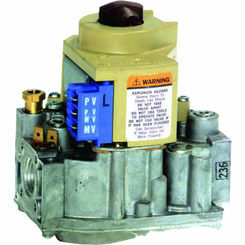 Type 2 – This gas valve has a pilot button separate from the control knob. To operate this valve, the control knob must be turned to the “pilot” position one can press the pilot button. 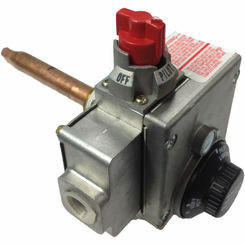 This kind of valve is compatible with older and newer water heaters (newer water heaters may have a sealed burner compartment). 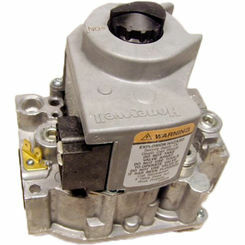 Type 3 – This valve is typically found on new water heaters. 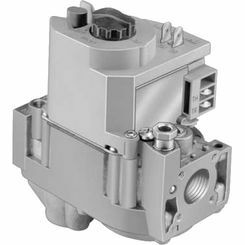 The valve is a bit unusual because it will have two wires protruding from the bottom of the valve. These wires will be connected to a roll-out switch (thermal fuse) which is designed to shut off the burner and pilot light in case of a fire. 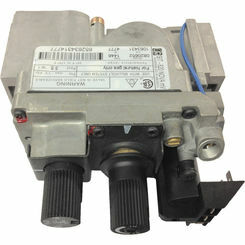 This valve is the trickiest to replace because you need the same exact replacement in order to connect to the roll-out switch. If you suspect your gas valve is malfunctioning, the best first step to take is to check for a gas leak. A gas leak is one of the most common problems you’ll encounter for a multitude of problems including if furnace isn’t igniting, isn’t heating properly, or you smell gas. To check for a gas leak, create a solution of soapy water and fill a spray bottle with it. Next, spray the gas valve and lines. Watch carefully—if you have a leak, you’ll see the soap begin to bubble as gas escapes. This is a readily repairable problem if you have the right replacement HVAC parts.